Picking a gift for your close friend or relatives is hard enough – the task becomes downright frustrating when you have to do it for someone from a culture you are not fully familiar with. Perhaps you have befriended a Gujarati friend lately, enjoyed the Gujju hospitality, or got engaged to a girl from a Gujarati family (congratulations! ), and are now scouting around on a gift that will please them? We are here to help you avoid needless clichés, and pick a gift to impress! Business is in their blood – OK, you probably saw this coming, but what does it mean for gift giving? Say, you are marrying a Gujarati girl; an absolutely great gift might be a laptop (check that she doesn’t have one already). She’s probably already working for her father’s business, and you can drop hints that you support her starting a business of her own. A laptop ties in perfectly with that idea. A gift subscription to a Digital Marketing course, may be a non-obvious, but a very well appreciated gift too, for any Gujarati friend. It will help them tie their traditional business wisdom, with new age marketing tools in their business. If you want to keep it simple and low key, you can even gift them some office accessories, Ganesha idols, or a nice old-school fountain pen. This should go down very well for any business owner. The entire extended family is extremely connected – As you know, Gujaratis are extremely well bonded with not just their immediate relatives, but their extended family all over the world. Any gift, which reminds them of this bonding, will surely pluck their heartstrings, and bring a lump to their throat. So, you can pick some nice family pictures from their FB or GPlus profile, and get some lovely coffee mugs, personalized photo frames, or even a nice jigsaw puzzle created, and sent online. Trust us, these will be cherished for years to come. These days there are lots of services, which allow you to send such gifts online, with the convenience of click and deliver. 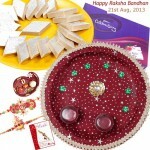 In fact, we at GujaratGifts.com also have this service, and it’s one of the most popular options for patrons. They can simply upload their choice of pics, and such personalized items can be directly delivered all over India (including interior areas of Gujarat) in a few days, served by Courier or even Indian Post (for remote locations). They love their food – That Gujaratis are great foodies is no secret – you only have to search “Manek Chowk”, the famous night food market to get a sense of that! However, gifting Khakharas, Dhoklas or Gujju sweets to your friends in the state makes no sense! They probably know hole-in-the-wall outlets which serve far more scrumptious versions of any “high-brand” food item you can gift them. Our recommendation is to play to their sweet tooth, and gift them out of state items, which they probably may not have tried. So, say, famous Ghevar from North may be something they or many people in their families may not have tried, and they are bound to be a conversation starter at gatherings, or at the dinner table. They love to travel – Gujjus are fond of travelling, be it to nearby states, or to the far corners of the earth. You can play up to this trait by gifting them stuff like GPS Luggage Trackers, Travel Wallets, Compact Backpacks, or if you have the budget for it, a holiday for two! Trust us, they will simply love your practical gift! They appreciate good brands – Thanks to the Gujarati families spread to almost all major countries, and being connected to each other, Gujaratis are extremely familiar, and appreciative of global brands, even if these brands do not have a presence in India. This means, you can bring over some wonderful branded toiletries, cosmetics, niche chocolate brands, aromatherapy kits, and small gadgets with you (or ask your NRI friend to get those for you), and hand them over in person as a nice hamper. They will definitely make a huge impact! So, now you know how to dazzle your Gujarati friends, go ahead and make their day, but in a thoughtful manner. 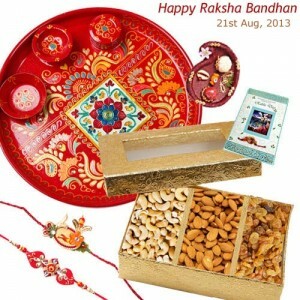 If you need any further inputs, please feel to let your friends at GujaratGifts.com know, and we will be happy to help! 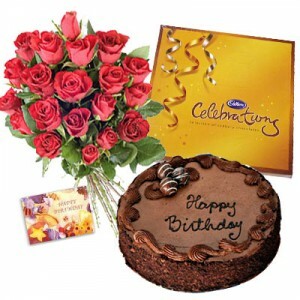 Want to Send Birthday Gifts to India but don’t know how? You’re in the right place! The internet is the place to be in these days for any kind of shopping whatsoever. Online Birthday Gifts or fresh flowers or chocolate boxes, whatever one desires to present to another person can be found online these days. 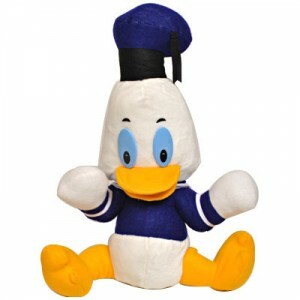 It is, however, important to choose the right gifts portal if you want to have a quality experience. A quality gifts portal not only features good quality of gift items but also has a rich variety of such items to suit different people’s tastes and different occasions. Besides the gift items that are featured on the portal, a good gifts portal is also safe and secure for online financial transactions such as credit card payment or net banking payment. Another important determinant for judging the quality of a Online Gifts to India is their speed of delivery of the order placed by any given customer. Do they deliver the ordered item within a reasonable timeframe with good packaging or do they send it to a wrong address first and then send it after a fortnight to the customer? Is the packaging of the item neat and impressive or is it tattered and down-market? These are some of the most important determinants that determine the reliability and quality of a gifts portal. 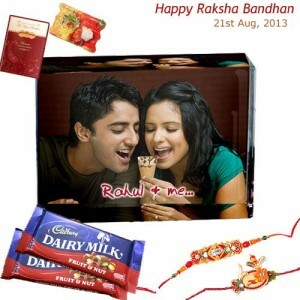 When you have found your choice, send Birthday Gifts India to your near and dear ones. 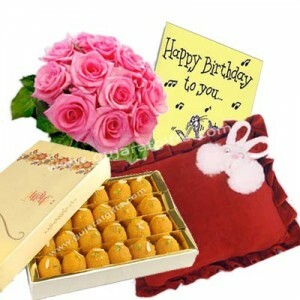 Send gifts for Birthday, Anniversary or for any special occasion you want to celebrate to any part of India. 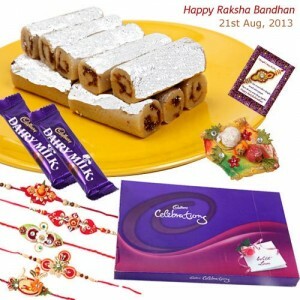 Gujarat Gifts to send online Birthday Gifts to any part of India. Payment can be made through any Major credit card, Net banking or Mobile payment as per your convenience. 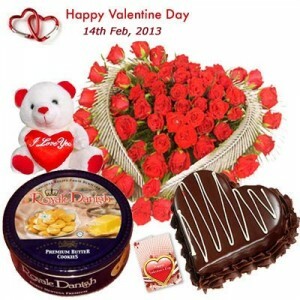 Valentine Gifts Online – Celebrate Conveniently! A wallet, a handbag, a perfume, a watch, shirt or some jewellery items – there are plenty of Valentine Gifts Ideas one can choose from when one wishes to delight their loved ones. 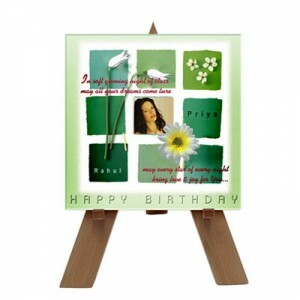 A Greeting card is a great accompaniment to the gift as it is beautifully designed and carries precious words of emotion inside. Getting married and so he banned marriages. Saint Valentine considered this new law unjust and continued to get couples married in secret. He was caught and put behind bars and subsequently killed for breaking the law. You can now Send Valentine Gifts to Indiain a matter of minutes from the convenience of your workplace or home through the internet. 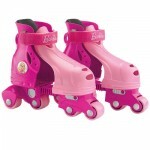 The availability of Valentine Gifts Online has made this earlier unthinkable option a reality. From Valentine Gifts to Valentine Flowers to cakes and teddy bears, you can shop to your heart’s content from good quality gifting portals which can help you send Valentine Gifts to India. 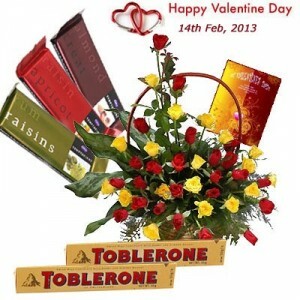 Visit: http://www.gujaratgifts.com/valentine-gifts-to-india/flowers-chocolates-en.html and choose from amongst an appealing collection of Gifts to India for Valentine Day. Payment can be made online with the help of a credit card, net banking or mobile payment facility on the website. Which is the one human emotion that makes a person an angel almost immediately? Which is the feeling that makes a person forego self-interest and do what is best for another? If you haven’t guessed it already, there is only one such feeling – Love. Poets, Writers, Movie-makers, Artists…Love is everyone’s favourite subject. The world is in love with the idea of Love. We can then imagine the popularity that a special occasion that is dedicated to the celebration of love would enjoy in the world. Valentine’s Day, a day dedicated to the celebration of romance and love is celebrated in many countries all over the world with great enthusiasm and spirit. 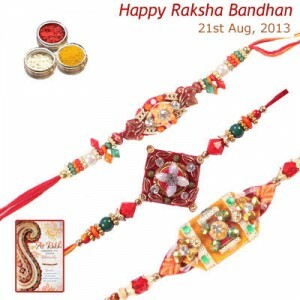 It is one of the most popular special occasions and makes everyone feel happy. As Shakespeare writes in his popular work titled, Romeo and Juliet – ‘My bounty is as boundless as the sea, My love as deep; the more I give to thee, The more I have , for both are infinite.’ Love is an emotion that not only makes the person who is loved feel wonderful, it also makes the person who loves feel on top of the world. No wonder everyone loves to fall in love and be loved as well. Celebrate this wonderful day with your beloved by sending Valentine Gifts to India through reliable online gifting portals. 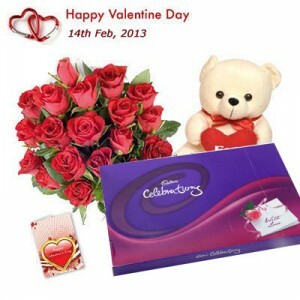 No matter where you live or your beloved lives in India, you can Send Gifts to India for Valentine Day in this way. Valentine Gift Hampers are a superb gifting option since they combine a number of pleasing items like flowers, a greeting card, a special gift and the like in one hamper. 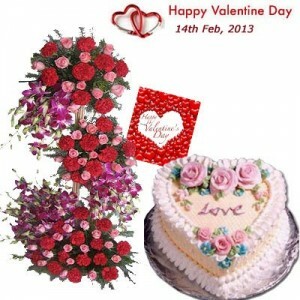 Visit: http://www.gujaratgifts.com/valentine-gifts-to-india.html to Send Online Valentine Gifts to India in a secure and efficient fashion. Pay online through a credit card, net banking or mobile payment facility and make that special someone feel on top of the world! At Gujarat Gifts, we get all sorts of customers – brothers who want to send Rakhi gifts to their sisters in India, or sisters who want to congratulate their brothers on their success in the college-level cricket match with a personalized cricket memento 3D crystal cube. 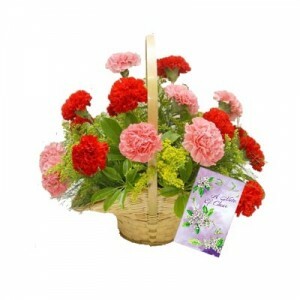 We get husbands looking for special something for their wives on anniversaries and sons who are looking for elegant Send Gifts to Indiafor Mother’s Day. 1.) High-quality gifts at competitive prices: We have become too busy these days to explore different markets, check out hundreds of shops, and net the best deals on the market. A reliable online gift portal from India should be able to offer a wide range of popular gifts in India at competitive prices, comparable to the cost of an item in the local markets. We are glad to say that Gujarat Gifts employs category managers to keep an eye on latest gifting trends in India and add latest entrants in the market to their respective categories. They are also the ones to think of how relevant certain gifts would be for a particular receiver. 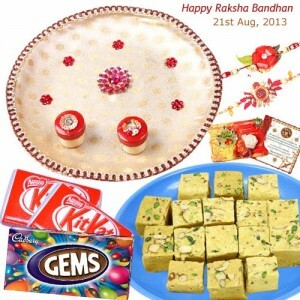 So, if you are unsure what gifts would be ideal for Rakhi, Birthday Gifts, or Diwali, or gifts for mom, dad, or your loved one, just surf suitable categories for some good ideas. To provide gifs to India at reasonable prices, we network with local vendors with good reputation and source our gift items from them. This is how, we are able to offer you a ‘free shipping’ facility and offer you gifts hampers to India at very reasonable prices. 2.) Time-bound delivery of gifts: We have been lucky to keep 90% of our clientele happy with offering high-quality gifts in time. Returning customers and customers acquired through word-of-mouth publicity (including social networking references) make a large part of our customer statistics. Besides, many of our customers stuck with us after they were disappointed by other gift portals that delayed their gift deliveries to India by several days. In some cases, the flowers they had sent to India wilted on the way and sweets were spoiled. 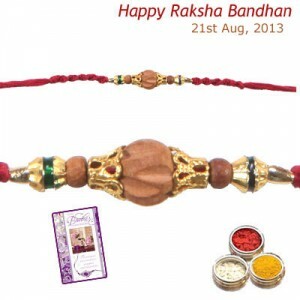 Gujarat Gifts takes special care to avoid such debacles. It promises to same-day delivery of flowers and cakes to over 250 cities in India, because they can get spoilt within a few hours. In other cases, it recommends to send sweets to India only at small distances. Sourcing gift items from local reputable vendors across India, we manage to deliver gifts in time, irrespective of weather, road or political conditions of any place in India. We cover our blind spots too, though we recommend you to send non-perishable items only to such remote locations in India. In such situations, we use Blue Dart Courier Services – India’s 1 courier service provider which usually takes 2-3 days to deliver a gift. 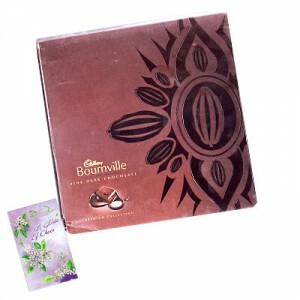 For areas not covered by Blue Dart, we use Indian Speed Post services, which usually take 5-6 days of delivering a gift. We are committed to deliver your Gifts to India in the least possible time. Do write to us to tell what you expect from a gift shop online and we will try to weave that into our business model soon. Cheer up your friends on Christmas – Send Gifts to India! This year, all my Indian friends have vowed to do something special on this Christmas Gifts to India. We will be sending cakes to India to not only our friends and families but also to the little kids in orphanages in the remoter corners of India. Even Indians who are not Christians have decided to send cakes to India for Christmas and New Year and share our blessings with the little angels in the obscure. Gujarat Gifts has been a blessing in disguise for our group. 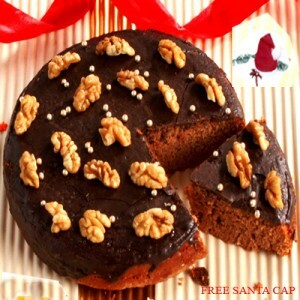 It promises to deliver fresh cakes to over 250 cities of India. 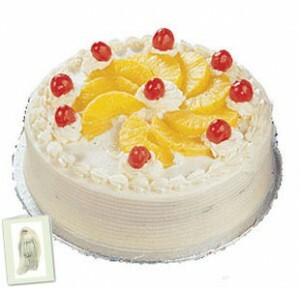 In fact, it offers same-day delivery of Cakes to Indiasome of the cities we are targeting. The cakes they offer are quite affordable too. Some of the cakes are available for less than 12 dollars! However, many of my friends have chosen to send the extra special Five Star cakes and cartoon-shaped Kids cakes to add a pinch of magical happiness for the little ones. 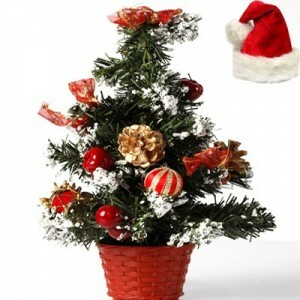 Christmas, New Year and festivities are celebrated to spread the cheer, joy, and bountiful happiness to the world. Let’s be generous this year and Send Gifts to India to all our loved ones – those whom we know and are related to, and those whom we might never even see. Let’s thank God for the cakes that we have and give a chance to those who are not so fortunate to feel the same gratitude to God too! We sincerely hope that by next year, Gujarat Gifts will grow leaps and bounds and will be able to offer delivery of gifts to more cities and towns of India and remoter parts of India.